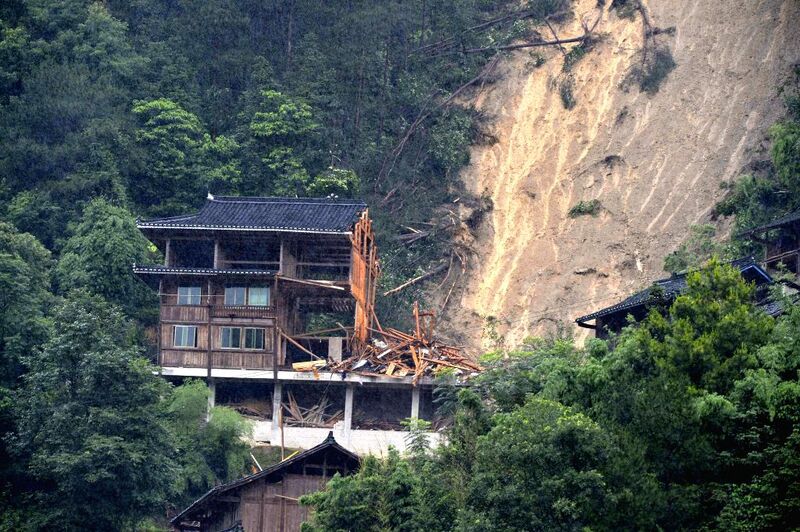 QIANDONGNAN, June 8, 2015 - Photo taken on June 8, 2015 shows the accident scene where a landslide took place in Jidao Village, Kaili City of southwest China's Guizhou Province. A landslide took place in Jidao Village on Monday due to heavy rain. No casualties have been reported.